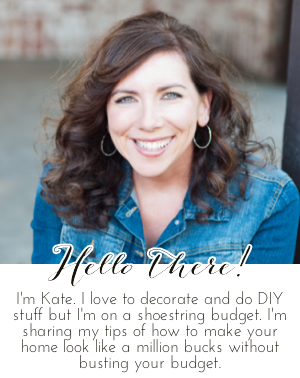 Chic on a Shoestring Decorating: Flaunt it Friday 202! Wow, it's already time for another party! Let's do it! Thanks for the party. Have a great Easter weekend. Happy Easter and thanks for the party!! Thanks So much for the party!! Have a happy happy Easter! Thanks so much for hosting and Happy Easter! Thank you so much for the party, have a wonderful Easter! Hi Kate, thank you for hosting the party and wishing you a Happy Easter. Thanks for hosting! This is my take on Anna Thins orange ginger cookies. It’s my first attempt at converting a recipe to gluten-free. What do you think? I’ve also shared my all natural hair care secrets and dispelled a few misconceptions.